"PAPER THIN" Pale pink Cumbrian rhododendron. Egg Tempera, tempera grasse and oil on hard board, framed 49"x 42"
"It's Complicated" 22x 25 (Double white tulip). Egg tempera, tempera gasse and oil on board, framed. 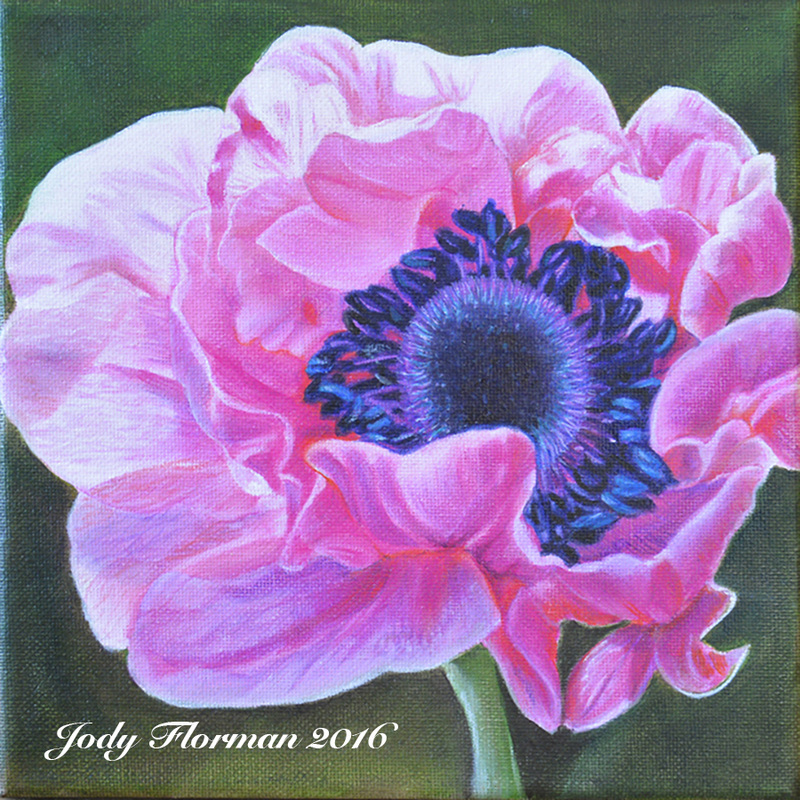 "DELIGHTFUL" 6 x6m(Pink Anemone). Egg tempera, tempera grasse and oil on canvas. "INSPIRATION" 21x 25. Egg tempera, tempera grasse and oil on board, framed. This is the site of my creative genius, from hand painted finishes in your home, to Fine Art, to commissions. I create portals of beauty and energy for you to step into, to be delighted and inspired by. I will paint you a beautiful painting to enhance your home or office, create a world of fantasy with a well placed mural or trompe l'oeil, and paint an out-of-this-world portrait that will last a lifetime. Bring me into you home or city to create a transformation, teach a class of creative inspiration or paint a beautiful picture. I look forward to hearing what you have to say, what your visions are for your home and what realms you choose to create. Life is an adventure to experience, I welcome you to come play with me.